The Atlas Mountains extend over 1,500 miles across northwestern Africa, spanning Morocco, Algeria and Tunisia, separating the Atlantic and Mediterranean coastline from the Sahara Desert. Actually a series of ranges with diverse terrain, climates and wildlife, the Atlas are dotted with Berber villages. The highest peak is Toubkal, rising almost 14,000 feet, which lies within Morocco's Toubkal National Park. 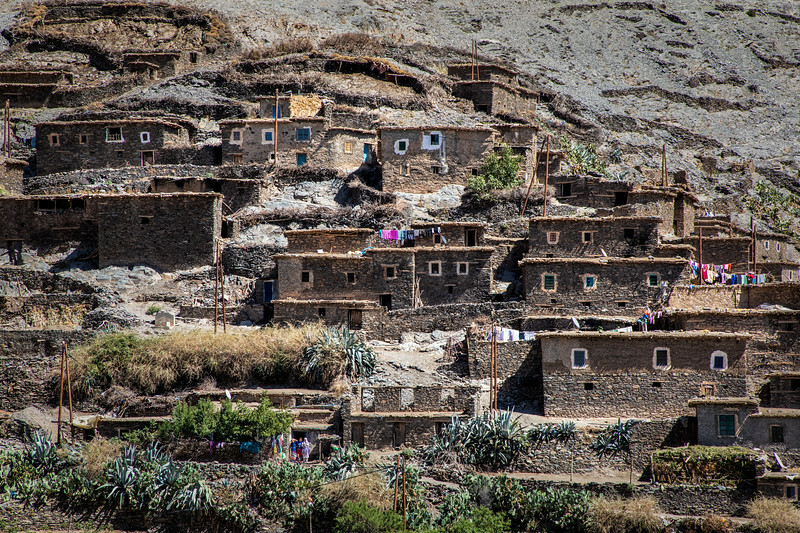 This image gives a good representation of how these Berber villages are built into the side of the mountains. As we hiked through the mountains and past Berber villages, we could catch glimpses of Toubkal, which was snow covered despite the early fall season.